Joshua rose early in the morning and they removed from Shittim and came to the Jordan, he and all the Israelites, and lodged there before passing over. 2 After three days the officers went through the camp, 3 commanding the people: When you see the ark of the covenant of the Lord your God being borne by the Levitical priests, set out from where you are and follow it. 4 Yet a space must be kept between you and it, about 2,000 cubits by measure; come not near it, that you may [be able to see the ark and] know the way you must go, for you have not passed this way before.5 And Joshua said to the people, Sanctify yourselves [that is, separate yourselves for a special holy purpose], for tomorrow the Lord will do wonders among you. 6 Joshua said to the priests, Take up the Ark of the Covenant and pass over before the people. And they took it up and went on before the people. I am getting ready to change the lives of my people forever. And this change will usher them into their final resting place in me. I am looking for those who are willing to follow me and be obedient to my commands. I am building an army of faith walkers. Those who will not be stirred by what they see with their natural eyes, but those who will only move by what they see with their spiritual eyes. D.	Builds our faith so we will put our feet in the water, cross over, and go up against the enemy. Let's do whatever it takes to postion ourselves to be ready to cross the Jordan and claim into the promises of God. 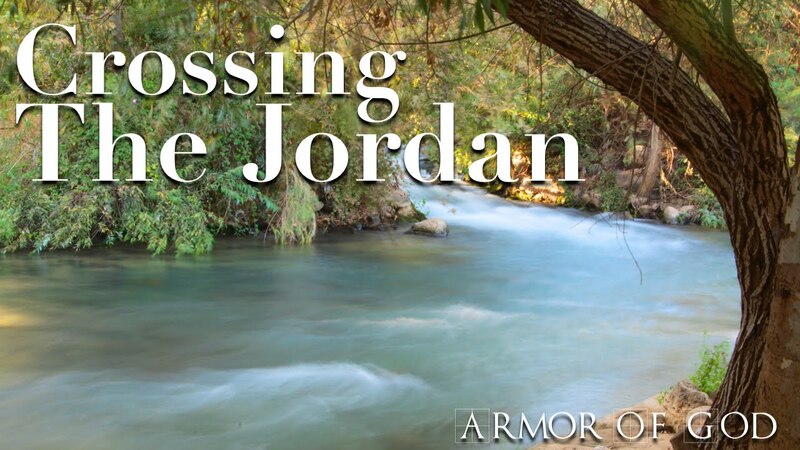 God is bringing the body of Christ into a brand new place and we must prepare to cross the Jordan and follow him. It is of great importance that we keep ou eyes fixed and focusesd on HIM ONLY becasue we do not know the way we should go. If we allow the presence of God to lead our daily lives, we will enter into the end time realm, power and provision that is promised for believers of Jesus Christ.